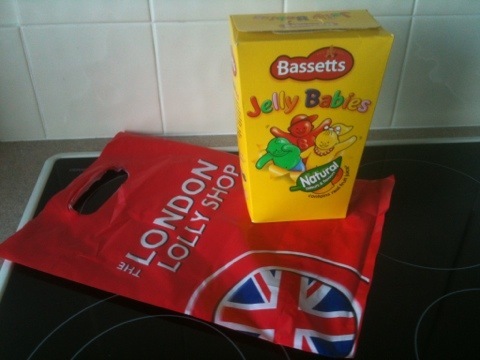 Today at lunch time Senior Fluffy and I went walking and we came across a brand new shop called The London Lolly Shop. I rushed in hoping to find the Jelly Babies my very special friends bring me from London when they return home or post me for Xmas, but not expecting to find them. Not only did I find the exact brand I love so much but a humongous box of them – yippee.